Crepe Silk Trendy Churidar Salwar K..
Crepe Silk Embroidered Work Churida..
Trendy Churidar Salwar Kameez For F.. Beige and Black Crepe Silk Churidar..
Crepe Silk Beads Work Designer Pati..
Crepe Silk Embroidered Work Trendy ..
Crepe Silk Beige and Coffee Brown E..
Embroidered Work Black and Crimson ..
Salmon and Tomato Crepe Silk Trendy.. Majestic Resham Work Crepe Silk Rea..
Crepe Silk Beads Work Beige and Nav..
Crepe Silk Designer Semi Patiala Su..
Digital Print Work Designer Semi Pa..
Crepe Silk Pant Style Classic Salwa..
Crepe Silk Grey and Navy Blue Digit..
Digital Print Work Crepe Silk Palaz.. 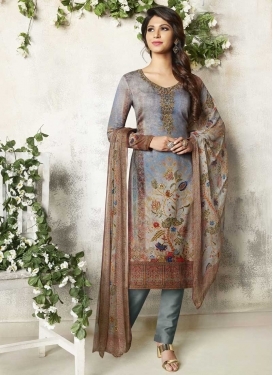 Beige and Navy Blue Pant Style Salw..
Embroidered Work Aqua Blue and Grey..
Crepe Silk Palazzo Straight Salwar .. Beige and Grey Palazzo Designer Sal.. Beige and Navy Blue Pant Style Stra..
Crepe Silk Designer Palazzo Salwar ..
Navy Blue and White Crepe Silk Desi..
Teal and White Digital Print Work T..
Pant Style Classic Suit For Ceremon..
Trendy Patiala Salwar Kameez For Ca..
Digital Print Work Pant Style Salwa..
Grey and Light Blue Digital Print W..
Crepe Silk Designer Patiala Salwar ..
Crepe Silk Beige and Salmon Digital..
Digital Print Work Crepe Silk Pant ..
Olive and White Crepe Silk Semi Pat..